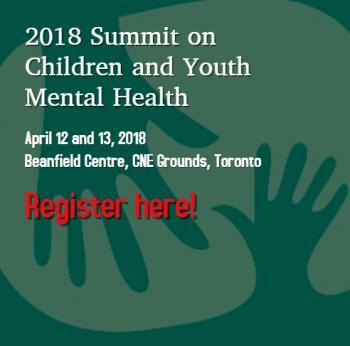 Join the 2018 Summit on Children & Youth Mental Health: "Beyond Collaboration: Towards Integrated Systems for Supporting Child and Youth Mental Health." Presentations will focus on working across tiered systems of support for promotion, prevention and intervention. Hosted by the Ontario Coalition for Children and Youth Mental Health - a multi-sectoral group committed to urgent and positive change for children and youth mental health services in Ontario. Find out more about the summit or read the summit program.